Chesapeake, Suffolk, Virginia Beach, Norfolk Home Staging Tips. There are many things that you can do in your home to make sure that it becomes a top choice for those looking to find homes in your area. Though the outside of the house is very important and should look good to get buyers to ask their local agent to show them the house, once they are inside the work is just starting. Buyers who are looking at all kinds of homes including estate homes, luxury homes and even waterfront homes care about the inside of the home just as much if not more than what is on the outside. No matter what type of home you are selling, you need to make the bathrooms, bedrooms and every other room in the house to look like rooms that any buyer would love to have. The most important tip when you are staging your home to be sold is to remove any personal items that you might have around the house. Though you may love looking at the picture on the wall of your family at the reunion last year, when a buyer sees these types of things it reminds them that it is someone else’s home and makes it harder for them to picture their family living there. Another thing to remember if you want to make sure your home is staged to sell is to make unique features of the home a vocal point. Even if you don’t use the fireplace in the dining room and have it covered to make sure the kids don’t get into it, uncover when you are showing the home. 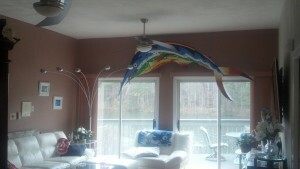 Make sure it is the first thing that VA homebuyers see when they walk into the room. When you have unique features that a local realtor might be looking for when trying to find homes for a client, make sure you include them in the local real estate listings. If a buyer or local agent is looking through the Hampton Roads Real Estate Listings and they know specifically what they want, they may choose to check out your home based on a characteristic that you didn’t think was important. All buyers look for different things when searching local real estate and you don’t want to rule out any potential buyers because you emphasize certain features. If you need help showcasing the features of your home or just staging your home before you sell it, consider hiring a professional. There are many companies that stage homes for a living and would happy to work with you and come up with a plan to help your home show well to buyers and real estate agents. Not all of these companies charge the same rates, so make sure that you find one that fits into your budget. When hiring a professional is not an option, remember that you do a great job staging your home if you remember to keep things simple. You are trying to sell your home, so let buyers see your home and not all of the stuff that you keep in your home. Staging your home along with Online Target Marketing can draw a better offer faster.